Tadao Ando respects nature and upholds human cultures, making architectures not merely buildings. 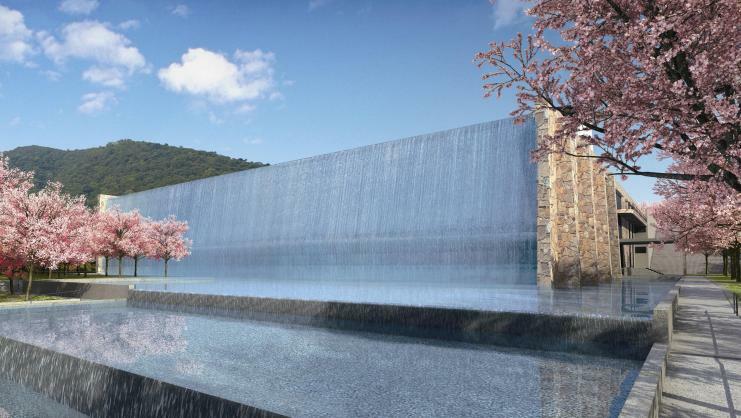 Tadao Ando is good at integrating nature and art into architectures and ingeniously combines cherry blossoms, butterflies, water and other natural scenes. The main building of Palace of the Light hides quietly under the water plate. 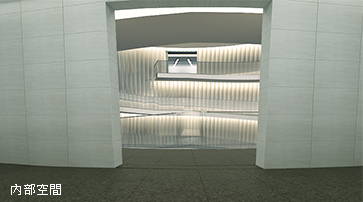 Centurial Tower is a natural artistic cemetery which is integrated with Heaven and Earth. On the architectural ground, through water- the source of life, the water plate seems like a bai sema, the sacred area where the mortals may be purified. Visitors may arrive at the water plate first and pass the arc-shaped walkway to enter the spiritual world of worship. Reflecting surrounding scenery, the water plate is like a clear mirror which and meanwhile forms a waterfall, showing an exquisite scene of water curtain. 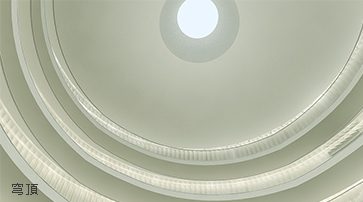 The interior center of Palace of the Light is a conical space with spiral stairs gently expanding and light shining quietly from above, increasing the level of spirit. Looking up in Centurial Tower, people can see the skyline of geometric lines designed by Tadao Ando and observe changes of gentle light, which demonstrate vitality of time and souls. Integrated with nature, Hall of Eternal Sleep is like a building in the fairyland. Tadao Ando ingeniously presents beautiful scenery which resonates the soul through the exquisite design.